4 tbsp Peanuts sprinkled on top. 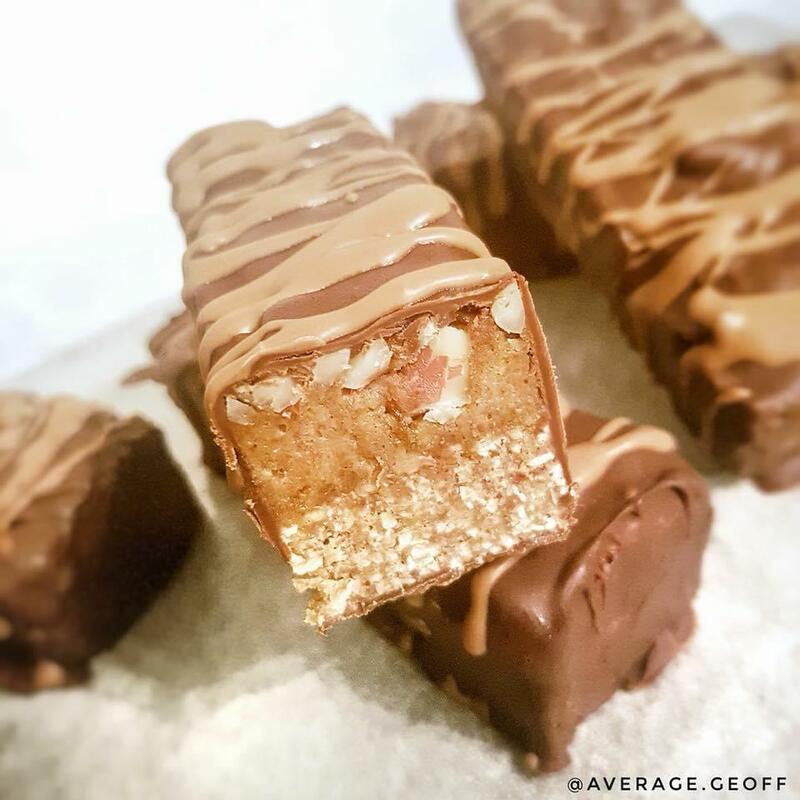 Easily as good if not better than a Snickers Bar with the added bonus of some top notch protein to help fuel tour hard work and stop you reaching for it's double sugary counterpart. Check out below for how to make your own. Chuck all the nougat ingredients into a blender and whizz up until you get a smooth consistency. You can make Oat Flour by blitzing regular Oats until it's got the right consistency. Press the mixture flat into a Loaf Tin/ Baking Tin, lined with baking paper and put in the freezer. Next, blitz all the Caramel Layer together EXCEPT the Peanuts. Layer that on top and top with Peanuts. Level out again and pop back in the freezer for at least an hour. Take out the bars and slice into 8 bars. Melt together about 100g of Dark Chocolate and 1 tbsp of Coconut Oil and cover the bars. Keep in the fridge in a sealed container and they'll stay fresh for about 10-12 days.